Mamacodes: Decoding this Thing Called Life – Wherein I muse on life, kids, faith, books, and everything beautiful. hot cocoa with marshmallows? check. dinner in the slow cooker? check. love these snowy afternoons! What projects are you working on this wintery day? If you are like me, you’ve browsed through Facebook or Pinterest and wondered how all those fancy and creative images are created? Introducing – Canva. With nearly thousands of templates, text graphics, and other features that you can select and drag-and-drop into a new project, it really is among the easiest ways to design a great graphic quickly and (cheaply). While some of their templates and designs are offered for a low-cost, many great options are free. 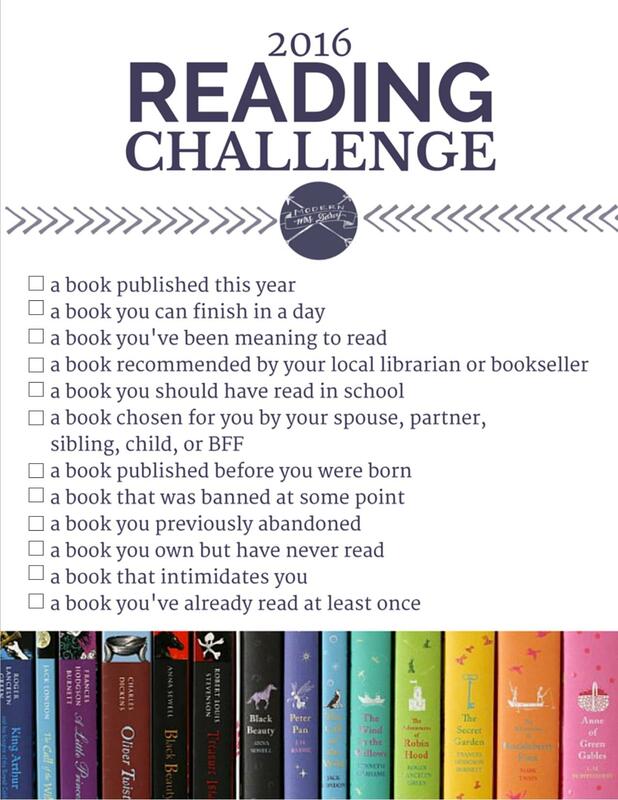 This is drawing on my last post about the Modern Mrs. Darcy Reading challenge. Here are my book picks! 7. Published before you were born: “Emma” by Jane Austen. 9. Book previously abandoned: “The Rule” by St. Benedict. I’ve read parts but never the full book. 10. Book you own but never read: Charlotte’s Web by E.B White. 12. Book you’ve already read at least once: The Gospels. Stay tuned for my list on technology books for 2016! Two fun challenges for reading this year! This was put together by the Anne at modernmrsdarcy.com. I intend to do this for 2016. It seems doable enough, right? Here is my reading list for 2016! Watch this video and reflect on what Christmas is really all about. Happy Tuesday, friends! Time for a ‘mommy’ post. This video of a pediatrician from Pacific Ocean Pediatrics quickly calming tiny, crying newborn babies is a must watch. “The Hold”, as Doctor Robert Hamilton calls it, consists of crossing the baby’s arms across their chest and holding their arms/chest while holding them by the bottom with the other hand. He then holds them at a 45 degree angle and gentle rocks and bounces the baby, who becomes quiet and alert almost immediately. Both of my babies loves to be rocked in a similar as itty bitty newborns, so it makes sense this hold works so well! Watch the cute video and try it if you have a newborn! Brushing Teeth: there is an App for that? Ok, I will be honest. Until recently, brushing my toddler’s teeth hasn’t been the easiest task. She greatly disliked it, even though she helped pick our the Tigger and Pooh brushes. It was such a battle of wills, and although I usually won, it still was a generally unpleasant task. Thankfully, it has become easier as she grows older, but I can empathize with parents who do struggle with the routine each day. Enter: Apps. Oral-B and many other companies have produced timed apps that will entertain children for the recommended 2 minutes it takes to brush their teeth. These apps also have alerts to brush each day, fun characters that children can remember and look forward to seeing. The techy side of me likes to see the positive use of apps, and teaching dental health to children is important, and if an app will acheive that goal, I’m all for it. But on the other hand, I hesitate to have my babies and toddlers watching the screen for something as routine as brushing their teeth. My worry is that we have become (or can quickly become) too reliant on a screen to make regular life bearable. We have not used an app yet, and instead try to sing silly songs or jingles to encourage the activities. What are your thoughts on the use of such apps? In one of my past posts, I talked about the great free tool, JS Bin. JS Bin is essentially a free, online, text editor that allows you to immediately see the results of your html and css code. When you write a piece of code on jsbin, there is an option to ‘archive’ it, so it’s not lost when you close your browser. In order to archive projects, you are prompted to sign in or sign up with GitHub.com. So, what is GitHub? First, let’s break it apart. According to howtogeek.com, Git is a essentially a software that stores multiple versions of open source (ie, free) code. In technical terms, it is a “version control system,” what’s that mean? When developers are creating something (an application, for example), they are making constant changes to the code and releasing new versions, up to and after the first official (non-beta) release. (source) Open source code can be manipulated by any online user, so Git is a software that can hold and manage most recent version, or older versions, of a program. Additionally, you can download Git onto your system, so you have access to multiple versions of the code your write. So, GitHub is an online community where users can share and store their coding projects and connect with others in the tech world. Having a GitHub account will make using JSBin much easier. Join today! If you are in the Minneapolis area, Girl Develop It (GDI) is actually hosting a class on GIT this Thursday. Click here for more info! 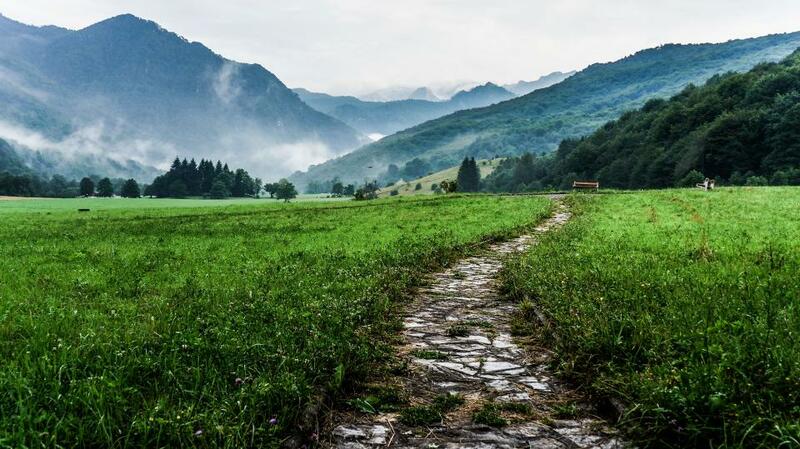 At the heart of a good blog piece is great pictures. When I was new to the blogging world, I was always astounded to see such gorgeous photos on my friends’ blogs. Yet, they were not photographers, or even that great at Photoshop. So what gives, I asked? answer: stock photos that are 1) incredibly beautiful and artistic and 2) free and even attribution-free. 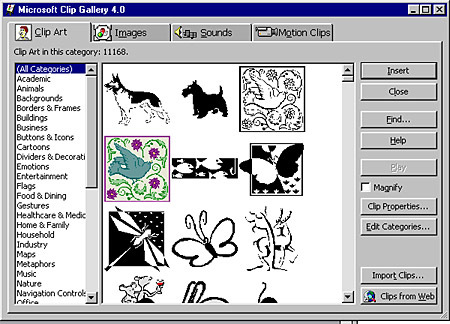 Back in middle school when the Interest was just getting to be a common thing in school, I remember my science teacher having us make a PowerPoint that used photos from around the web (read: clip art!) These photos on the listed sites are not the clip art from days past!